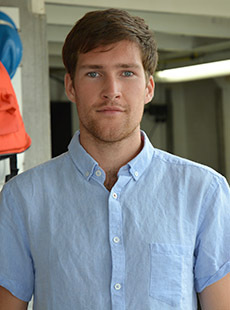 Zac obtained a BSc in Environmental Geoscience from the University of Bristol, UK in 2012. After several years out of academia he returned to obtain an MSc in Oceanography from the University of Southampton, specializing in physical oceanography and climate dynamics, which he completed in 2017. He is now a research technician at BIOS, working on the Bermuda Atlantic Time-series Study (BATS) and Hydrostation ‘S’ ocean monitoring programs. His role involves data processing, software development, BATS cruises aboard the R/V Atlantic Explorer, and chemical analyses. His interests are in physical and chemical oceanography, as well as coupled atmosphere-ocean climate cycles.